Being a customer oriented enterprise, we are engaged in providing a wide array of Plain Kabul Pal Tent. 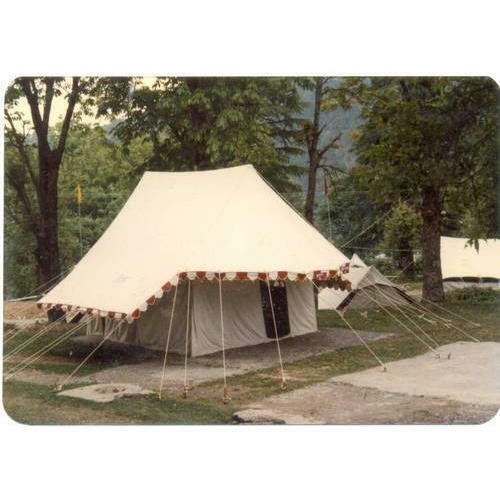 Established in the year 1984, at Kolkata, (West Bengal, India), we “Calcutta Tent Industries”, are a Proprietorship Firm, engaged in manufacturing, wholesaling and retailing the finest quality Resort Tent, Swiss Cottage Tent, Luxury Tent, Canopy Tent, etc. Under the guidance of our Mentor “S.K. Dalmia (Proprietor)", we have reached on top position in the industry.